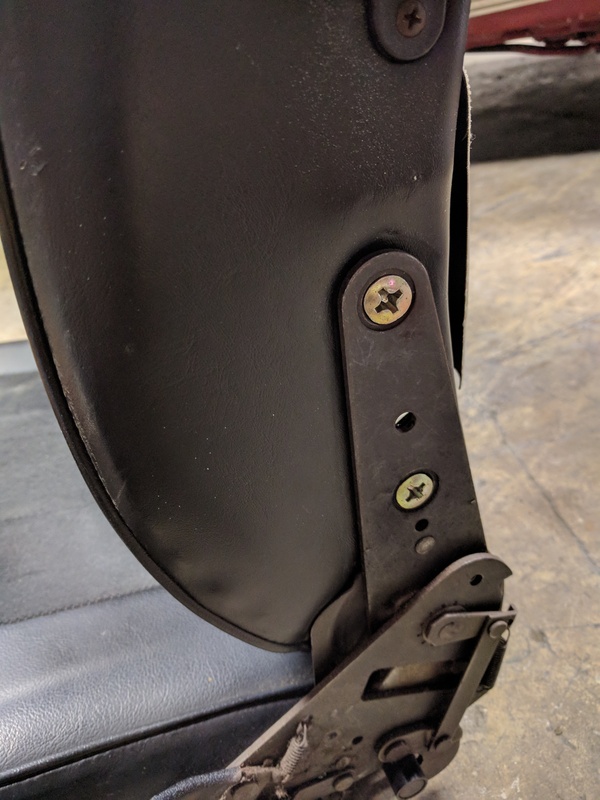 Repadding the stock '02 seats is a time-consuming but worthwile procedure. 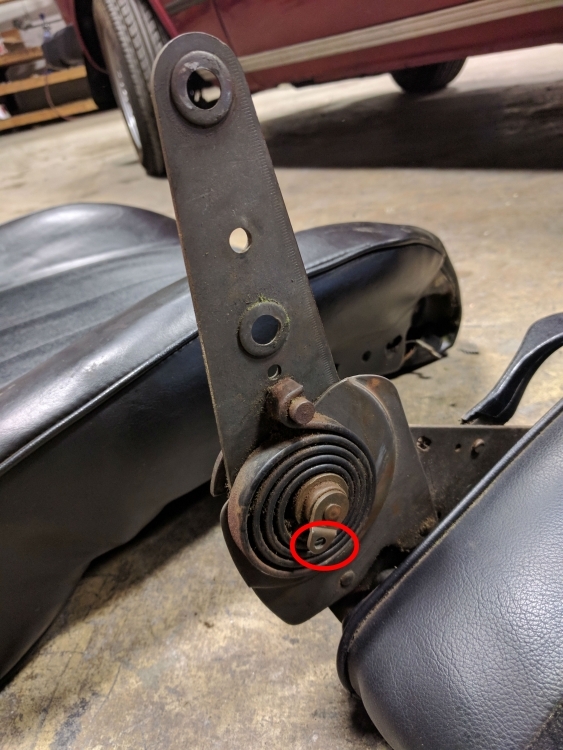 While most people will simply upgrade to some nice Recaros when their original seats have had it, many prefer the original look or simply can't yet afford to go with some replacement Recaros. For these people, restuffing the original seats is a great option. 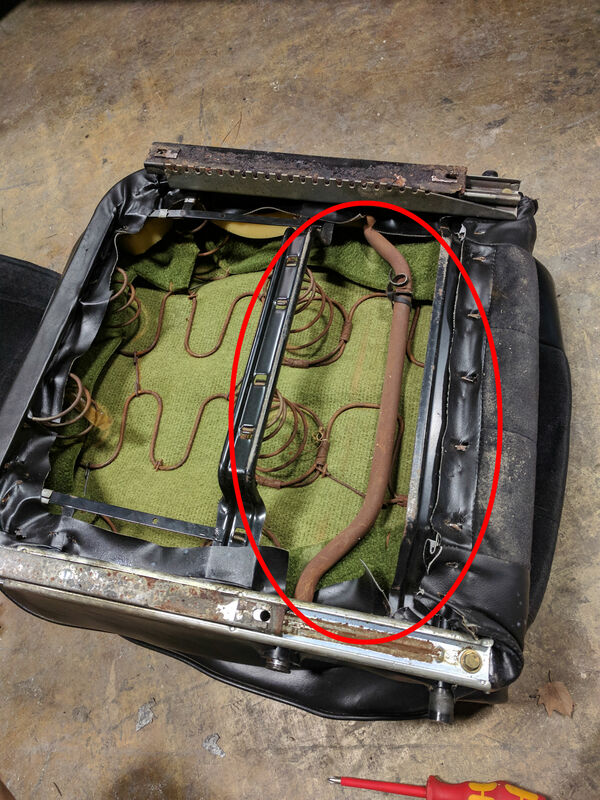 In my case, I repadded the front seats in my 1975 2002 for about $35 worth of foam and a few evenings of work in my spare time. The first seat I tried took about eight hours, and the second one was about six hours. Although it took a while, the results are great and I got to clean and condition the seats while they were out of the car. For new foam pads, I bought some 2" foam from a fabric/crafts store. Measure your seats & backs and add a couple inches either way- you will be trimming them to fit. For me, it cost approx. $35, which isn't bad compared to the cost of Recaros. This was the very flexible upholstery foam...the kind you can squeeze to "zero." They had white and green, and I went for the green, which seemed denser. 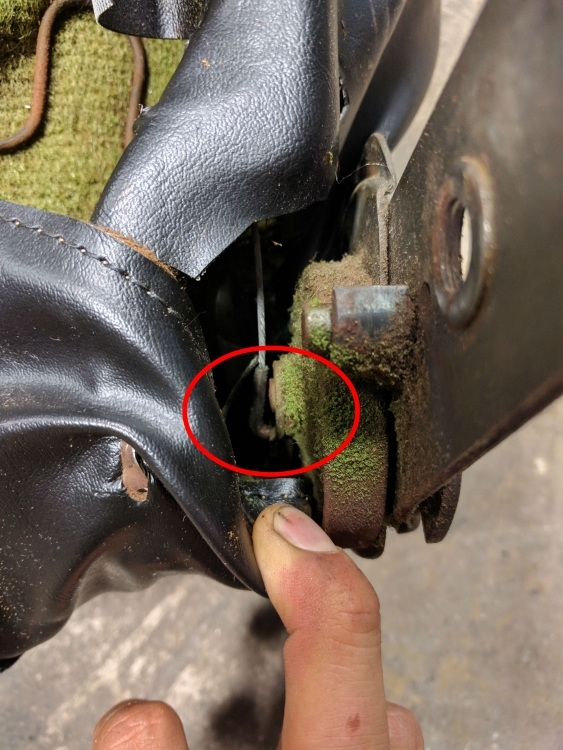 The thickness of the foam will depend on the condition of your existing horsehair pads and whether you want to reuse whatever is left of them. Mine were close to gone, especially the driver's seat, but still all one piece. I chose to refit the horsehairs under the foam, so I only needed the 2" thick stuff. If your horsehair pads are completely gone, then you will want to get thicker foam. The following assumes that all '02 seats are constructed basically the same, but as I mentioned my car is a '75. First you want to take the seats out, remove the rails, and then dismantle the hardware. There is a reason why this took so long, and that is because you want to be careful with your old seat materials! Pull the covers off slowly...they are attached by a series off metal hooks on the frame. Pry the hooks up to make it easier, and be careful, they're sharp 'n' rusty! I just used my hands to pull the vinyl back, afraid that pliers would tear it. Cut the foam to fit, with a little overlap. If you want (I didn't think of this till after I was done) you could get even thicker padding & custom cut the "wings" of the seats, for a more "Recaro" feel. 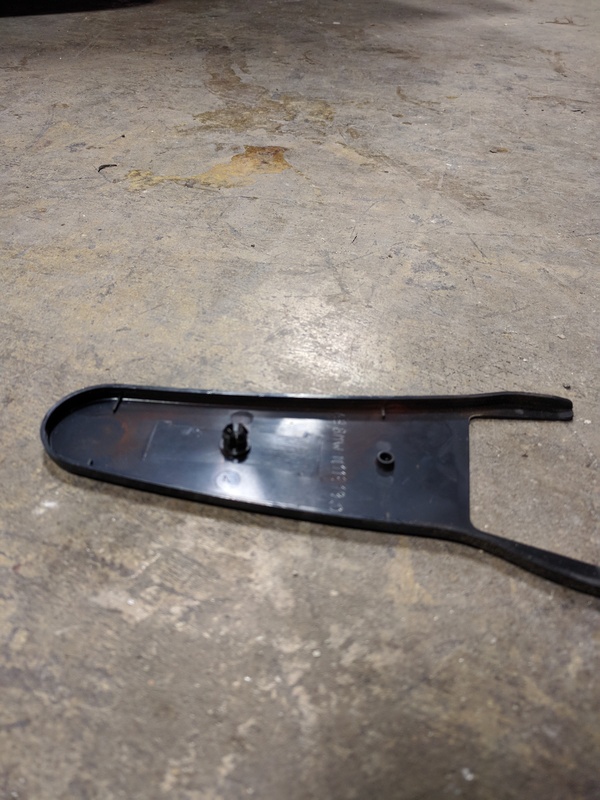 I took some car headliner foam (about 1/4" thick and a few extra bucks) and sewed it to the spring frame to make a base for the old horsehairs so they wouldn't shed into the car. Refit the horsehairs (if you are re-using them), then place the foam into position. Putting the seat covers over the stuffing is a wrestling match, so get yourself pumped up! I managed not to tear the vinyl, but you should check your covers and their seams and make sure they're strong enough for the stretching. If they're dry & brittle, it might be a different story. I wasn't able to repad the headrests (the stems were pretty rusty & didn't want to move...and they are still semi-comfy, so I skipped 'em). Start with the front of the seat, and then work your way to the back, hooking along the way. You have to work with the material and the foam to keep it in place. When you're about three-fourths of the way back, grab the front of the seat and pull the cover towards the back, coaxing it into place. At first, I didn't think there was much leeway at all for stretching. Then I got a little brave and figured out how to coax the cover. It does give a bit...you just gotta work it along. By far, this was the most aggravating part; I found talking to the seat helpful! Before you put the seats back into the car, it's a good time to clean 'em up a bit with a brush and your cleaner of choice... not to mention a GREAT time to crack a cold one! Reassemble the rails hardware, then bolt the seats back into car. I used a couple of washers under the front rails to 'lift' the front of the seat slightly (provides a better driving support...a cool tip I got from the message board). If you want to try extra padding in the lumbar area, go for it. 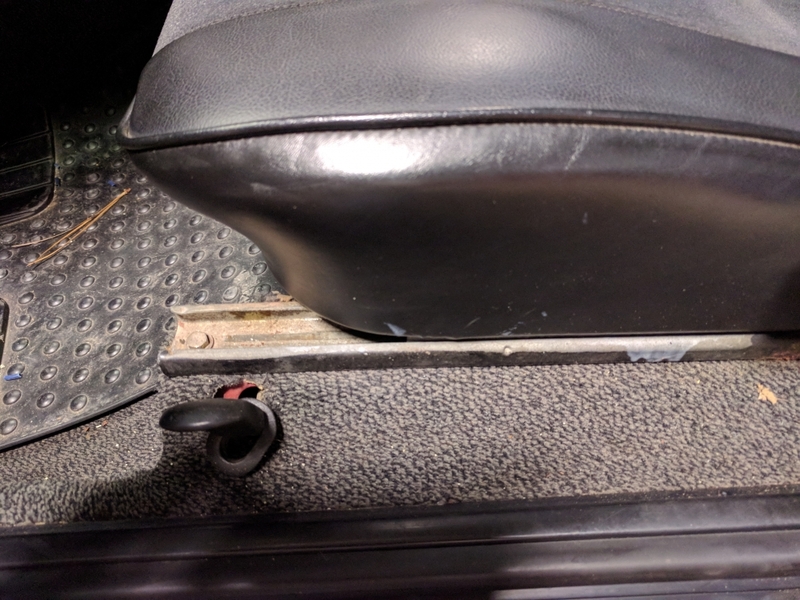 But the funny thing is that when the seats were back in place, the lower half of the seat back felt much thicker and supportive. I don't know how that happened, but the lumbar support was instantly built-in and noticeable! It was such an extreme difference at first, I didn't think that I could lean all the way back and drive at the same time! Shows how bad off the original padding was! Now, I sit upright and drive, and it feels GOOD! Anyway, one size of foam did the trick for support and comfort. Though I did think of getting 1/2" or 1" pieces to add to specific areas, I just went for one size and it worked out fine. It also followed the natural design of the original seat, which isn't exactly the most ergonomically fine specimen, but it's adequate enough for straight posture (and the '60s design rules!). I do want to try beefing up the bolsters sometime, especially now that I've done it before. It's a "crazy" project, but well worth it on that next drive...very comfy! I plan to do the rear bench next...and can't wait! I'm just amazed that I took on the project, and it came out nice! I still dream of Recaros, though. I hope this helps and if you have any questions, please post them to the Message Board! - I used a combination of the green foam mentioned above and nu-fiber, which is reportedly similar to horsehair. Remove the side covers on both sides. They are quite fragile. 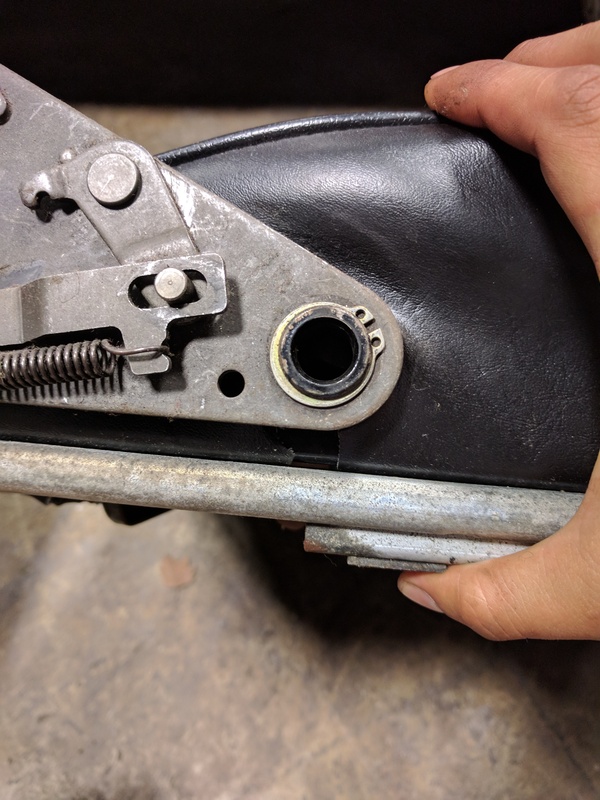 The upper is held by a small tap, pry it off carefully. Once you do that, you can pull the whole bracket off and remove the rails. Thanks for this article. It was a huge help. 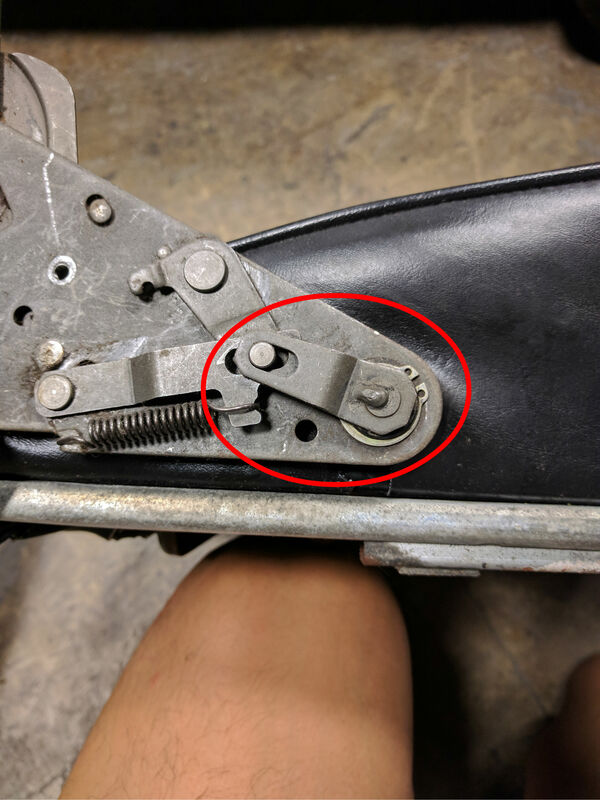 I recently re-stuffed the bottom of my 73 tii seat. 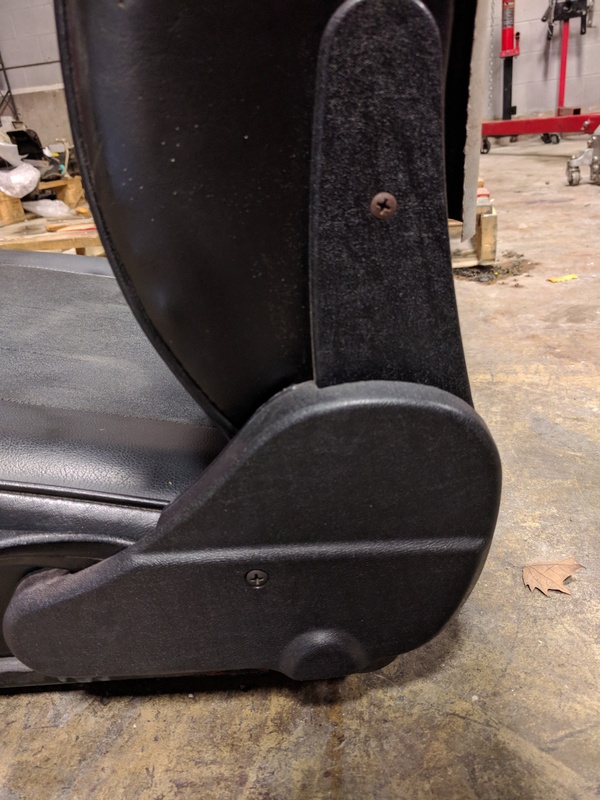 Things I learned: (1) if you are going to replace horsehair, a 3 inch thick piece of foam--IF it is pretty compressible--will work just about right. (2) build up the wings with about one inch extra for the Recaro-style fit. (3) If your seat material is split, spray-glue a piece of fabric across the inside to take the stress off the splits.